An automotive Rembrandt, the 2018 Jaguar F-TYPE in San Antonio, TX promises to take performance to the next level. A dynamic two-seater available in coupe and convertible configurations, the Jaguar F-TYPE can be tailored to fit your personal style. When you add an arsenal of high-powered, performance-tuned engine options to the equation, the Jaguar F-TYPE promises limitless thrills in a striking package. Jaguar F-TYPE models start at just $59,900 and cater to performance enthusiasts. 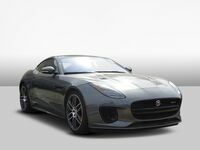 Visit Barrett Jaguar today to learn more about the updated 2018 Jaguar F-TYPE! If you are interested in pure power and heart-pounding speed, the 2018 Jaguar F-TYPE will deliver on all counts. Available in six trim levels - F-TYPE, Premium, R-Dynamic, 400 Sport Special Edition, F-TYPE R and the track-ready F-TYPE SVR - the Jaguar F-TYPE can be tailored to fit your specifications. An updated style employs a bold front end design, revised air intakes and adaptive LED headlights that make the Jaguar F-TYPE stand out. Highlights of the Jaguar F-TYPE include premium leather interior, an eight-inch InControl Touch display and the GoPro ReRun App. What’s Under the Hood of the 2018 Jaguar F-TYPE? In addition to a revamped style that promises to turn heads, the 2018 Jaguar F-TYPE in San Antonio, TX provides an upgrade in performance. With three available engine options and multiple power outputs, the Jaguar F-TYPE will deliver unlimited thrills when you get behind the wheel. 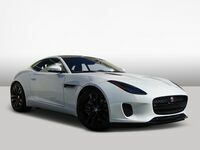 The entry-level Jaguar F-TYPE employs an all-new 296-horsepower 2.0-liter turbocharged Ingenium four-cylinder engine that supplies power to the rear wheels via an eight-speed Quickshift automatic transmission. A top speed of 155 mph and the ability to sprint from zero to 60 mph in just 5.4 seconds make the base F-TYPE a performance-tuned masterpiece. Next up in the Jaguar F-TYPE power lineup, you will find a 340-horsepower 3.0-liter supercharged V-6 engine that is available for the base model and the F-TYPE Premium. 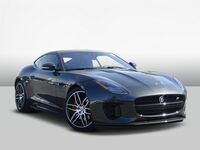 Supercharged Jaguar F-TYPE models can be paired with a six-speed manual or eight-speed automatic transmission. Paired with the automatic gearbox, the power-packed Jaguar F-TYPE will make 20 mpg in the city and 28 mpg on the highway. An upgrade to the F-TYPE R-Dynamic trim level increases power output to 380 horsepower and adds available all-wheel drive to amplify the thrills. 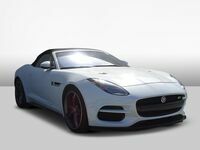 A new addition to the Jaguar F-TYPE family, the 400 Sport Special Edition will provide an instant upgrade to performance with a 400-horsepower 3.0-liter supercharged V-6 engine that is paired with the eight-speed automatic transmission. Still looking for more power? Get behind the wheel of the performance-tuned Jaguar F-TYPE R, which plays host to a 550-horsepower 5.0-liter supercharged V-8 power platform. Married to the responsive eight-speed automatic, the F-TYPE R will still make 23 mpg on the highway. With still more power under the hood, the top-of-the-line Jaguar F-TYPE SVR delivers the heart-pounding performance you have been looking for. Armed with a 575-horsepower 5.0-liter supercharged V-8 engine, the Jaguar F-TYPE SVR promises a top speed of 200 mph. If you are looking for monstrous power in a sleek design, the 2018 Jaguar F-TYPE at Barrett Jaguar in San Antonio checks all the boxes. 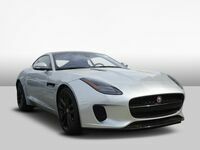 Interested in a 2018 Jaguar F-TYPE?